Australian researchers have found that so-called ‘triple-negative breast cancers’1 are two distinct diseases that likely originate from different cell types. This helps explain why survival prospects for women with the diagnosis tend to be either very good or very bad. Stem cells have many of the same features as cancers. They are plastic and flexible, and have the ability to proliferate and spread into other tissues - deadly traits in cancers. A new study has linked deficiency in a gene that controls autophagy - a process that recycles cell waste - with triple-negative breast cancer. The researchers suggest increasing activity of the gene could be an effective way to treat patients with this most aggressive and stubborn cancer. Chemotherapy has limited effect against triple-negative breast cancer. Reporting in the journal EBioMedicine, the University of Texas (UT) Southwestern Medical Center team describes how it found a strong link between the autophagy gene beclin 1 and the most aggressive type of breast cancer. Beth Levine, a UT professor and director of the Center for Autophagy Research, and colleagues analyzed data from over 3,000 patients in two large breast cancer databases: the Cancer Genome Atlas (TCGA) and the Molecular Taxonomy of Breast Cancer International Consortium (METABRIC). They found that reduced activity of beclin 1 was linked to both a higher rate of triple-negative breast cancer and a poorer prognosis for breast cancer patients. The team believes this is the first study to report a link between beclin 1 and triple-negative breast cancer in humans, and confirms similar findings from mouse studies. The next step for Dr Swarbrick and his team will be to study the biochemistry of ID4 in a cell - to determine how best to block it in people. “We don’t know yet whether we are seeing a real oestrogen-dependent cancer after ID4 is blocked - one with an effective oestrogen receptor - or just a caricature of one. 1. 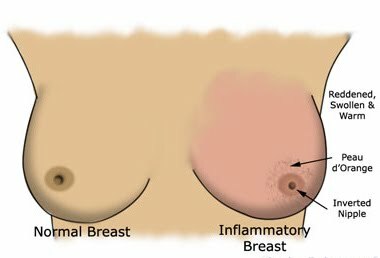 Triple-negative breast cancers, which make up around 15% of all breast cancers, lack any of the three receptors (oestrogen, progesterone or HER2) that would make them responsive to targeted drugs. Overall, patients have a higher risk of disease recurrence and shorter survival than those with other breast cancers. 2. A large multidisciplinary team including developmental biologists, cell biologists, pathologists, genetics experts and bioinformaticians collaborated on this paper. Dr Simon Junankar undertook all the developmental work, studying the physiology of the mouse and the formation of stem cells. Laura Baker did much of the functional work in breast cancer, showing that aggressive triple-negative breast cancers depend on ID4. Bioinformatician, Dr Dan Roden, analysed transcriptomic data and gene signatures. 3. Professor Jane Visader and colleagues, from the Division of Stem Cells and Cancer at the Walter and Eliza Hall Research Institute in Melbourne, recently published findings about the role of ID4 in the journal Development.